City-By-City - pop-up road show will bring buyers face-to-face with your sponsors. In the major US markets, prospects are invited to a half-day of topical leaning, demos, facility tours and light lunch. The local convenience of these events, ensures strong attendance. The entire event experience is branded for your sponsor. This includes email solicitation, on-site branding, speaking opportunities, and event literature. You select the event topic and we do the rest. Targeted Promotion - Attendees are invited from show management’s local membership and sponsor client lists. This event format guarantees a targeted investment, full brand emersion and focused educational experience. 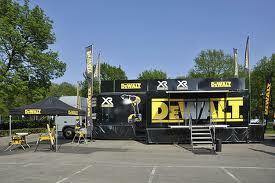 Flexible Venues - Venues can include sponsor offices, area hotels or mobile promotion trucks.